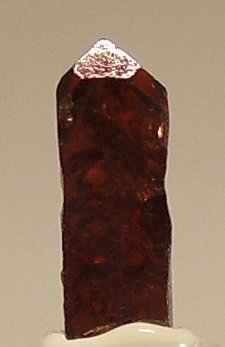 Sharp well formed crystal, almost complete with one of the narrow edges being the contact plane, a few minor dings along edge. 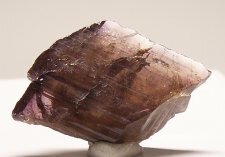 Moderately pleochroic with a nice coffee brown and light brownish purple. Good transparency with excellent luster. Very sharp well formed crystal, minor damage on one lower edge and a few very slight dings. Rich coffee brown color (a little more orange tone in incandescent light). Nice transparency with very good luster. 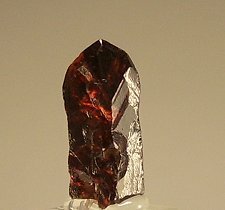 Very nice form and transparency for a zircon! Nice classic V-twin, moderately pleochroic, one termination mostly damaged, the other has partial damage. Good transparency and luster. Very gemmy throughout. Nice classic V-twin, moderately pleochroic, minor dings and cleavages. Good transparency and luster. More gemmy and better luster than photo suggests. A truly facet grade crystal from top to bottom! 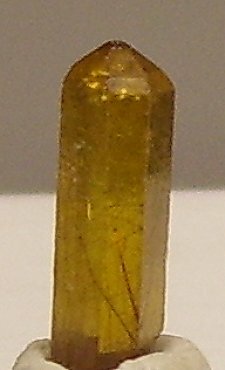 No visible inclusions in this water clear rare borosilicate. Termination is undamaged, cleavage break on one side. 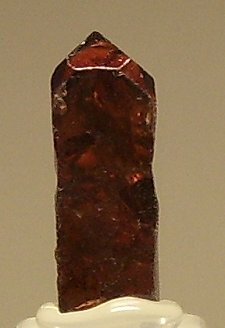 Strongly etched flat crystal with a rough termination. Minor damage on back side. 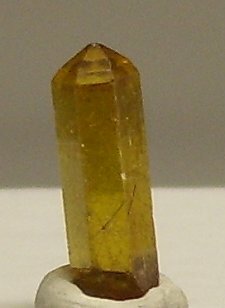 Very rare, larger doubly terminated Potassium Fluor-Richterite from a pocket found at 5,000m during the summer of 2004. 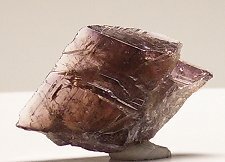 Well formed crystal with only very slight dings and abrasions.